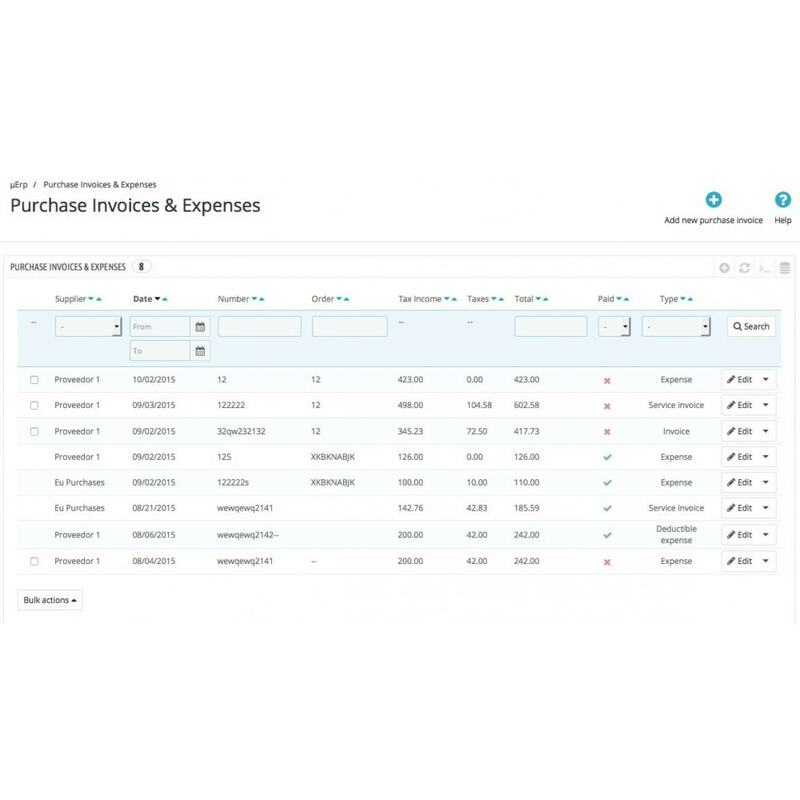 This module allows you to insert purchase invoices and have a complete balance sheet of your company. 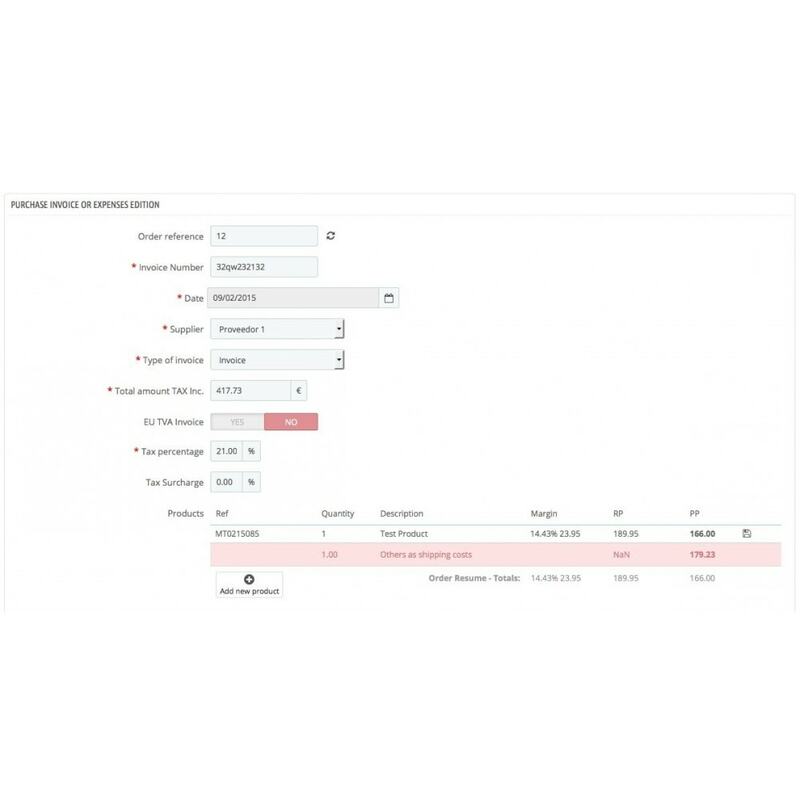 Indicating the order number and supplier, this module calculates the cost of purchasing with recorded prices for each product and supplier, indicating if the supplier invoice is correct or not. Multiple types of invoices are allowed like services, expenses, deductible expenses, and also a registry of payment of each invoice that allows to know the outstanding amount with each supplier at any time or if an invoice was already paid to supplier. Once the module is installed you must fill in the details of your suppliers because this module requires some additional data. For this reason it has its own suppliers editing system. 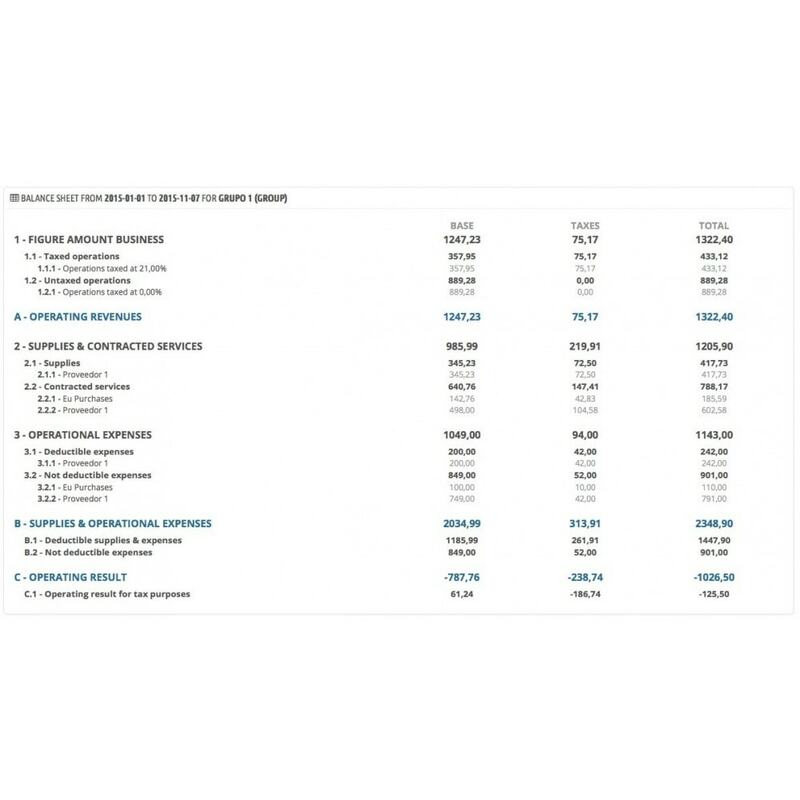 Be sure to create your database of non-deductible expenses suppliers such banks or agencies that do not issue invoices. 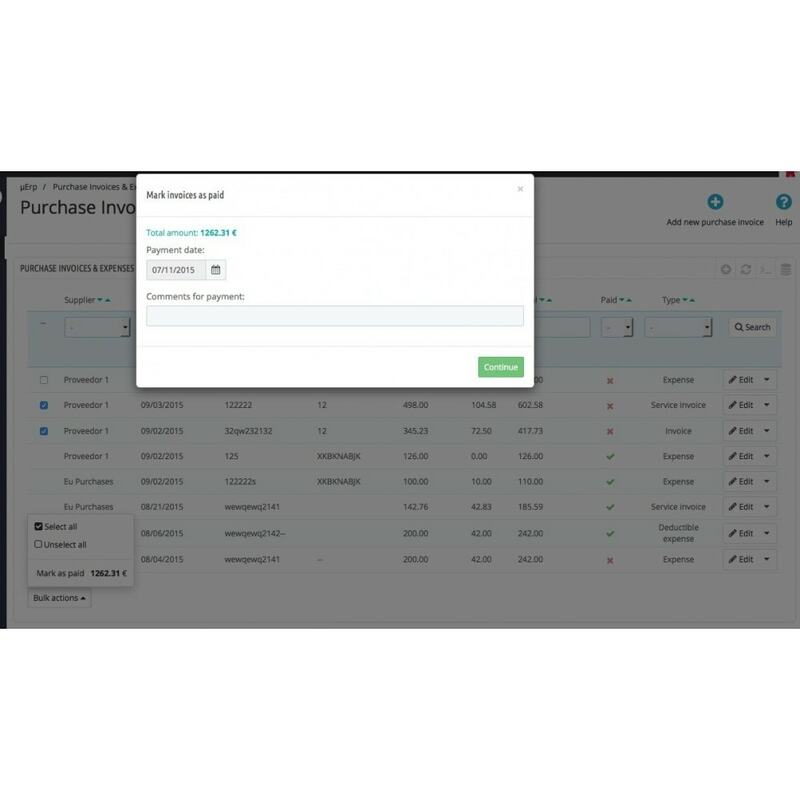 When you create an invoice, enter an order number to load all products of this order automatically. You can edit the description of each product and the quantity or price.